On the bank of the river Trubezh, not far from the National Square, stands the Church of Intercession built at the site of a wooden Cathedral of Pyatnitsa, the Holy Martyrdom of Christ,dating to 1628. 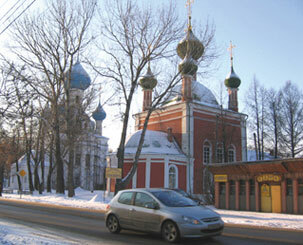 The Church of Intercession is a typical example of small-town architecture of the second half of the 18th century. A modest single-story refectory and an elegant three-tier belfry stand adjacent to it. 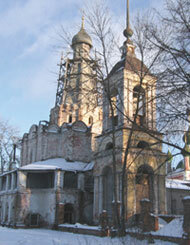 It is the only one of the Perseslavl churches that was not closed during the years of Soviet power. 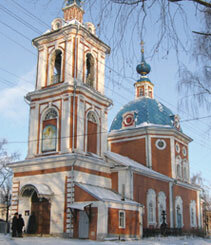 In the church you can still see ancient samples of wood carving, plates and icons of the 18th century.